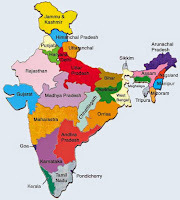 List of Airport in India: Our www.indiagrade.com web portal proving all the required information about the list of airports in India. So you can get the completed dates of Indian airport list state wise. Generally the airports are classified based on some categories such as Customs, Defence, Domestic, Future, International and Private. Our team members are worked hard and furnishing the following details of list of international airports in India and also you can get the details of list of domestic airports in India. If you are searching in the internet to get the information about the international airports in India, then you are at the correct website. We are also providing all general knowledge and general awareness articles. You just come to our website directly and search the General Awareness tag and click on it. You can get all the required information and those information are displayed om the screen. Follow our Facebook page to get more updated info related to list of Indian airports.